Kitchen remodeling in Calabasas is an exceptional way to add real value and beauty to your home. In Calabasas kitchen remodeling projects pay back close to 90% of the investment and can help you to sell your home. This is a great remodeling project and you can the enjoy results every day. 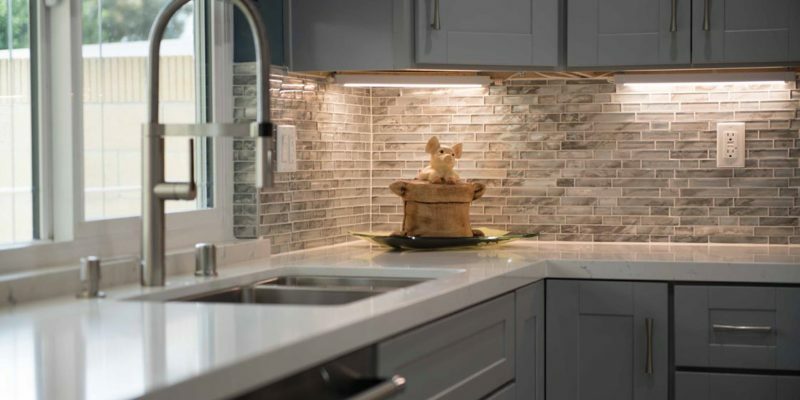 When you first start talking about kitchen remodeling, most of our customers begin with getting kitchen remodeling ideas. Why start remodeling in the kitchen? It’s where you spend your informal time entertaining family and friends. Why not make your kitchen everything you think it should be? H&A My Design is the kitchen remodeling contractor to talk to for kitchen design. We’ll craft the stunning kitchen you see in your mind’s eye. We install quality cabinets, countertops, and all that goes into your vision of a kitchen remodel. Have you done some planning for your kitchen remodel in Calabasas? Talk to your custom kitchen designers. We work with your kitchen remodel ideas. Our designers fill in all the details that homeowners can miss. They also show you aspects that you probably don’t know about. We also offer outstanding design-build expertise in Calabasas. The first step in good kitchen remodeling is your design. Our designers work with your ideas and deliver a complete design down to the smallest detail. We’ll present you with a 3D model of your new kitchen. When the design gets to that point it is exciting to see what it looks like and do an animated walkthrough. H&A My Design will plan your new kitchen remodel. Our crew takes care of everything from custom cabinets, plumbing, and electric. That’s why we are the company you want to work with in Calabasas for both design and construction. We are completely dedicated to the highest standards of work in kitchen remodeling. You’ll get your magnificent new kitchen, finished in time and on-budget. In Calabasas, kitchen remodels do more than just look good. Energy saving appliances help with more energy efficiency and add worth to your home. Taking advantage of this is a smart thing to do whether you are in your home for the long haul or are remodeling for resale. That’s why we pay attention to the smallest plan detail. In design it’s always the small details make the biggest difference.. Kitchen remodeling in Calabasas doesn’t necessarily mean reconstructing your kitchen larger. It doesn’t always mean installing new kitchen cabinets either. For low budget remodeling re-facing your cabinets is always a great option. This is a very successful way to completely change the way your kitchen looks. We maximize the usable area in your kitchen. When it’s finished it’ll be a showcase you’ll be proud of forever. Our expertise allows you concentrate on the design fine points with our designers for your new kitchen. After all, it’s your kitchen. Call H&A My Design and sit down with us to talk about your new kitchen remodel. You’ll be glad you did. Call today.